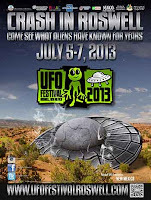 The town of Roswell, N.M., was overrun with some interesting characters this past weekend when the town hosted its annual UFO Festival. It’s pretty common knowledge that in 1947, a UFO supposedly crashed in the town located in the Nevada desert and today is the 66th anniversary of the crash. One of the highlights of the event, and there were several, was the Alien Pet Parade. Adorable little green pups all decked out in their finest alien ware paraded proudly in the famous town. Of course, there was some cool cosplay by the humans present and they got to partake in an alien costume contest. 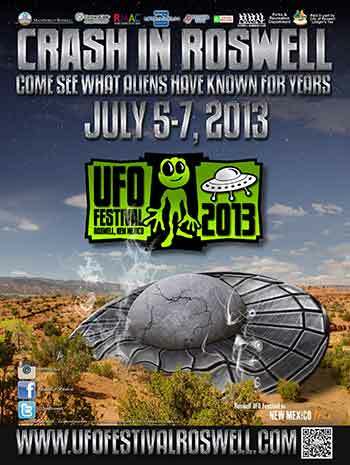 Obviously the festival boasted some noted speakers, such as UFO researchers Stanton Friedman, Don Schmitt and Tom Carey, Fire In The Sky purported abductee Travis Walton -- and our own Aaron Sagers.